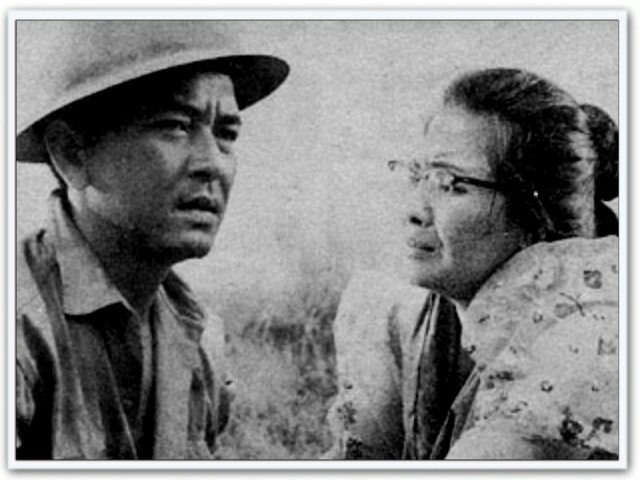 As a piece of hagiography, you can’t get more melodramatic or shameless than 1965’s Iginuhit ng Tadhana (Drawn by Fate). In this biopic covering the life of kleptocrat and Martial Law architect Ferdinand Marcos (Luis Gonzalez) from his childhood to his ascent to the Philippine presidency, there is crying beside windows (courtesy of the martyr mother to end all martyr mothers, Rosa Mia), nervous wiping of brows on witness stands (because apparently, trial judges are blind to obvious body language), and kilometric monologues—including interior ones spoken in voice-over! How these characters don’t bore themselves to death is beyond me. Iginuhit ng Tadhana wastes no time getting down to its primary objective: settling scores. Conceived as propaganda for Ferdinand’s debut presidential campaign, the first 45 minutes of Iginuhit’s 136-minute running time busies itself scrubbing the Marcos name off the first of its multitude of sins: the death by sniper of Ferdinand’s political rival in Ilocos Norte, Julio Nalundasan. On the night of the murder, the film insists, our hero was busy reviewing for a law exam. He couldn’t possibly have stolen a rifle from his ROTC bunker and shot the congressman while he was brushing his teeth! And still, despite his nerd cred (and the aforementioned nervous mopping of brows by the star witness), the court had the gall to convict him! Hopefully, having gone through his own travesty of justice, our hero will have the empathy and drive to strengthen the rule of law in his own presidency, right? Right? 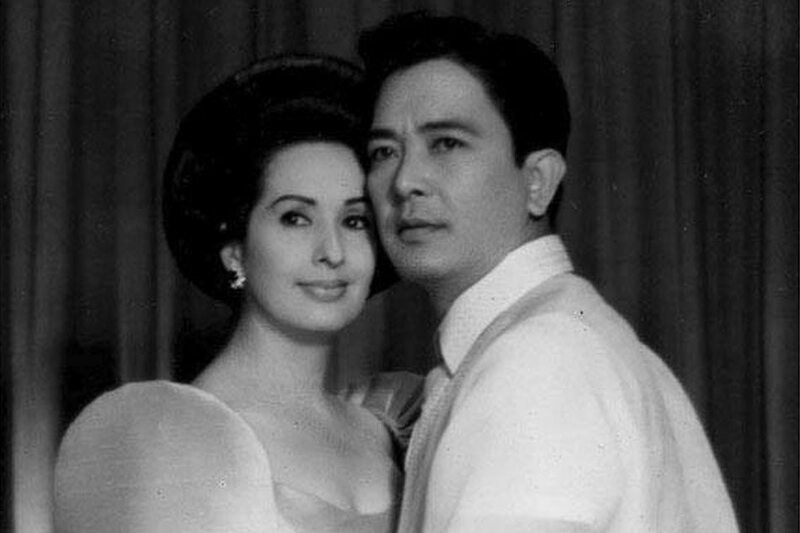 Anyway, having demonstrated Ferdinand’s brilliance as he mounts his own defense in front of the Supreme Court, the film gets down to its next order of business: the meet-cute between our hero and his wife-to-be, Imelda Romualdez (Gloria Romero). Imelda is a far cry from his own mother, who visits her son in jail wearing a baro’t saya—no, when Ferdinand meets Imelda in the congressional cafeteria, she is wearing a man’s shirt, pants…and mismatched shoes! I can imagine the young Imelda watching this sequence and thinking, That will never happen again. After that, Iginuhit ticks off all the obligatory boxes: portraying Marcos as a family man, conscientious lawmaker, and devoted mama’s boy. (If I were Imelda and I were watching my husband call his mother “honey,” as this film says he does, I would have ran screaming from his latent Oedipus complex.) Oh, and watch out for a young Vilma Santos playing the eldest child, Imee. The role doesn’t give her much to do, but I foresee great things from this young performer…maybe even a run in politics.